The Queens Museum of Art | STREETS OF NEW YORK 411 INC. 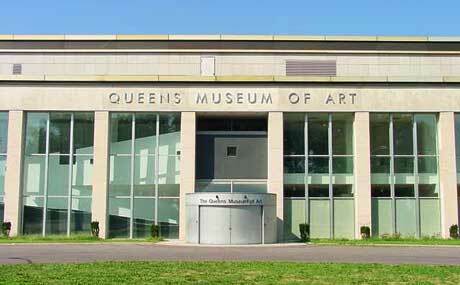 The Queens Museum of Art is located in Flushing Meadows Corona Park in Queens, New York. It is housed in the New York City Building that was constructed for the 1939 World’s Fair and hosted the United Nations General Assembly 1946-50. Founded in 1972, the museum houses the well known Panorama of the City of New York, a scale model of the five boroughs built for the 1964 World’s Fair. ← 13th Annual KIDflix Film Fest of Bed Stuy!